Nursing students are taught certain skills during clinical rotations. New graduate nurses, upon entering orientation, enter nurse residency programs and preceptorships that teach them even more nursing skills. As nurses, we get a ton- I would dare to say- an overwhelming amount of information thrown at us in our education and professional development programs. 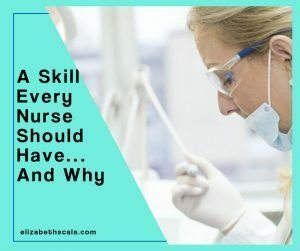 But what would you say if I asked you: “What is the one skill that every nurse should have?” How would you answer that question? Do you have an idea of THE skill that would help a nurse succeed in the nursing profession? As a holistic nurse, who is a member of the American Holistic Nurses Association and has taken a lot of time to learn about and practice various methods of self-care, I do have one skill in mind. Now, you may think that I am going to share a modality with you. Like practicing Yoga or using essential oils. Or, if we do not go the holistic route, you may think that communication, delegation, or leadership are skills that take first place. I do believe that all of the above are very important. However, I will argue that there is one skill that every nurse should have. One skill above all of the rest. 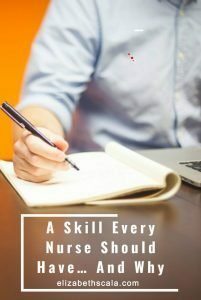 One skill- that if practiced, lived and done well- will influence all of the previously mentioned nursing skillsets. What is this crucial thing? Presence reflects a quality of being with rather than doing to (The American Holistic Nursing Association, Scope and Standards). We can learn to be present through practicing mindfulness. In fact, when I give a presentation to a group of nurses, I often speak about this. I lead the group though a short example, showing them that practicing mindfulness does not have to be done for hours at a time in some far away land. 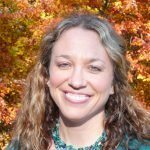 I teach them about the benefits of practicing mindfulness which include: increased attention, decreased stress, and a greater connection with patients. And I share the example of the busy medication room. So- picture yourself at work. If you have a medication room, imagine that you are in it. It is the start of your day and you are pulling medications for each of your patients, getting yourself organized. Now, what tends to happen? Maybe you get a phone call. Or the charge nurse calls you out to the nurses’ station, to look at the schedule for the rest of the day. Maybe your pager goes off and the physician of patient Jones is asking you to call her. Maybe your nursing colleagues comes up to you and starts talking about the concert he attended over the weekend. Lots of things are happening and it is hard for you to focus. In that moment- it is hard to be present. If you have been routinely engaging in a mindfulness practice outside of the workplace, it will be a little bit easier for you to stay focused in all of this busyness at work. The practice of mindfulness is done in quiet so that when you get into the noisy chaos you find it easier to be present. This is why it is so important for every nurse to practice the skill of presence. This is why it is crucial for every nurse to engage in a routine mindfulness practice. So that you can concentrate when distractions arise. Increased patient satisfaction. When you are focused on your patient and they feel that you are paying attention to only them, then they are much more likely to feel satisfied with the care that you are providing them. Decreased errors. Just as we described in the example above, healthcare is a busy and noisy place. With the constant interruptions, the probability of making a mistake goes up. A nurse who is able to be present and focus will experience less chance for error. Increased staff satisfaction. Most nurses went into nursing to help patients. This means having the time and ability to teach the patient. To sit down and go over educational materials. To help patients figure out and navigate their health and the healthcare system. Well, a nurse who can stay in the present moment -even in the face of the fast-paced world of healthcare- will find much more meaning and value in their work. What’s your take on this? What is the ONE skill that you think nurses need? And why? Let’s have some dialogue below. Thanks for reading. You are so right! It is in the mad chaos that mistakes are made, patients are made to feel like a number, and nurses are made to feel like robots in a factory production line. The essence of mindfulness is essential in nursing care of the patient and of the nurse. Thank you so much for this comment, Michelle. Glad to hear that you enjoyed the post. And you give great examples of how mindfulness can impact us all. It’s so easy to forget this in the business of the day and yet, it is the one thing that creates the thread that weaves meaning into all my actions throughout my day. Lovely. I love how you put that, Jackie. I too see it weaved in. Thanks for pointing that out! So true! And can be easily forgotten with so much “noise”. The beeping, chatter, to-do lists going around in our heads…. thanks for the reminder! You got it! Glad you enjoyed the post, Kara. I am a crisis care Hospice nurse. When I am with my Pts and families I always give them my undivided attention to fully take care of my Pt ar hand and the family/friends. It is so important to me that I as a Hospice nurse making sure that I keep the Pt’s dignity and respect at all times as well as fulfilling all Pt’s requests at end of life. This is mindfulness to me as a hospice nurse. This is lovely! And you are so right that this is being mindful as a hospice nurse. I believe that any and every nurse CAN do this, with some patience, time, and practice. Thank you for sharing your experiences with this and showing us that it IS possible to do! It sounds great, but how do you actually practice this in a busy environment? It sounds deeper than just focus and blocking out the extra stimulus, but maybe it’s that simple?